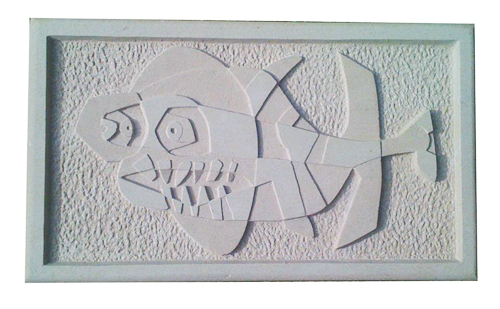 A fish drawn by the Lanzarote Artist Cezar Manrique. I have always liked his style and his commitment to the beauty of his Island. While learning a bit of Masonry with Richard Holiday, especially doing flat surfaces and straight edges, i simply thought that this specific design will be a good training ground! And it was!